Leonardo DiCaprio has nothing on you, Indie! Who is driving the boat??? 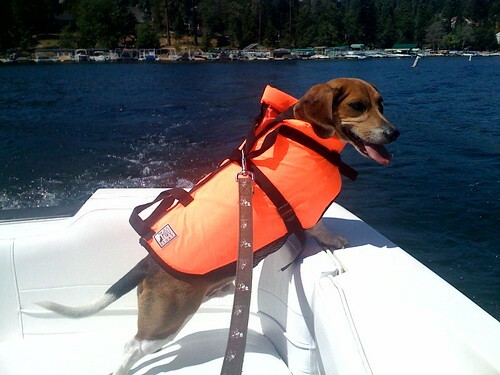 I thought only flyball dogs were allow to drive on the Lake. 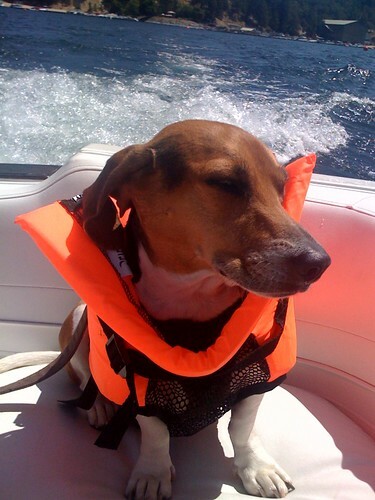 Love your side profile in the life jacket.